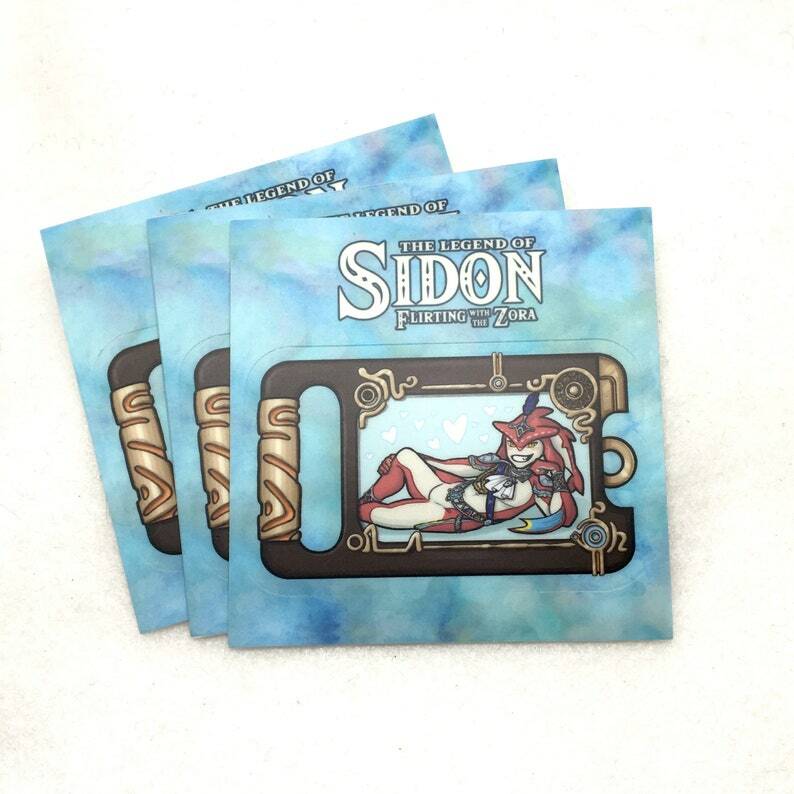 He splashed into our hearts in Breath of the Wild- it’s Prince Sidon, and he’s sending you a flirty selfie on your sheikah slate! This vinyl sticker is 3" at the widest part and kiss cut, ready to stick. They're made from a durable, weatherproof vinyl that's great for indoor or outdoor use.